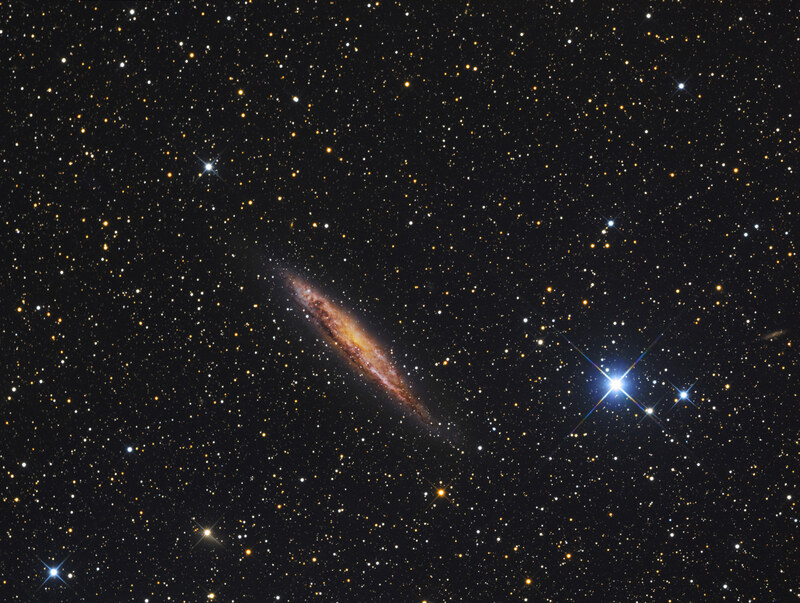 NGC 4945 is a relatively nearby spiral galaxy, very similar to the Milky Way Galaxy. 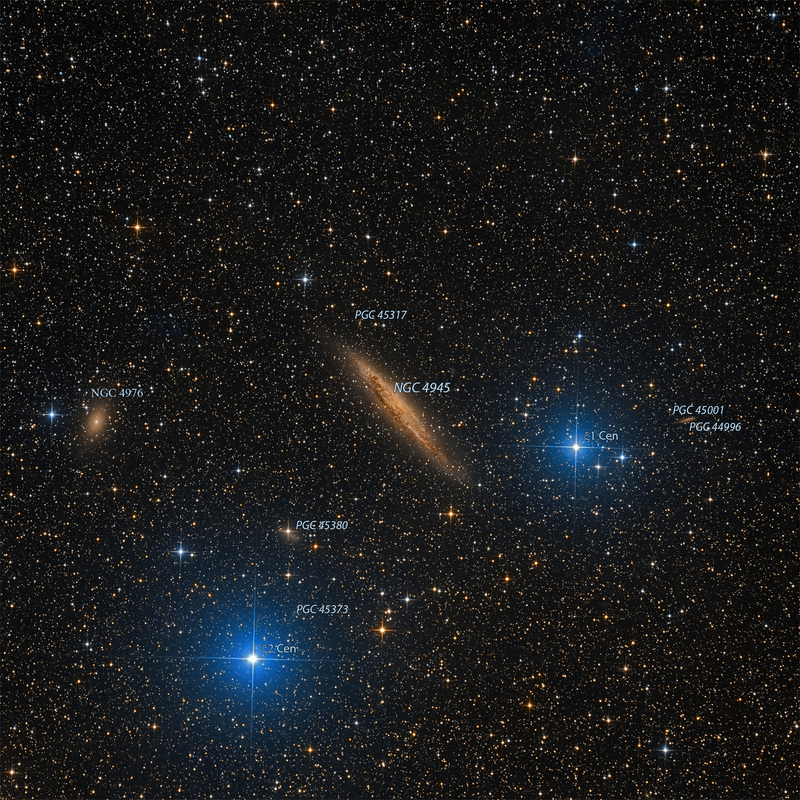 About 13 million light-years distant, NGC 4945 is almost the size of our own Milky Way Galaxy. This remarkable spiral galaxy seen almost edge-on, and the spiral structure is chaotic and difficult to discern. In part this is because the galaxy is itself extremely dusty, and it is seen through dust in the Milky Way. These effects together account for its yellowish hue, though patches of bluish stars can be seen. 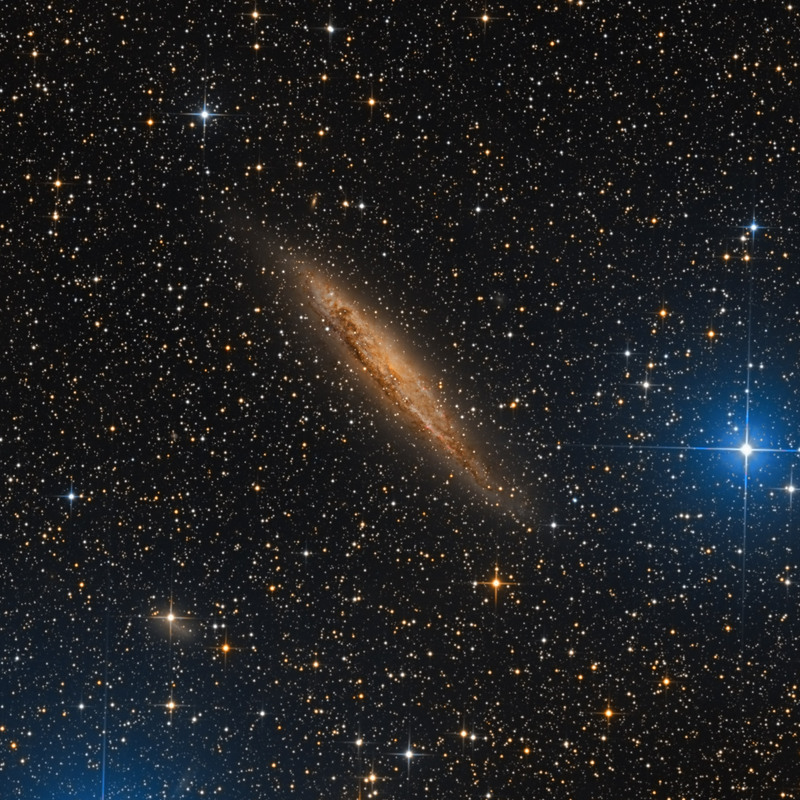 The dust in NGC 4945 absorbs most of the visible light, especially the blue light from the numerous bright stars known present within the galaxy. 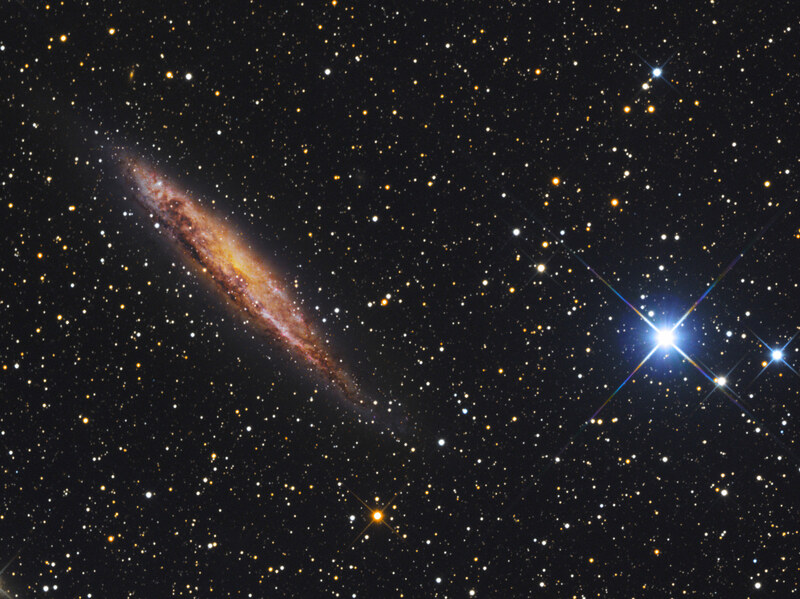 In NGC 4945 , observations at X-ray and infrared wavelengths have found evidence of very energetic processes in the nucleus. 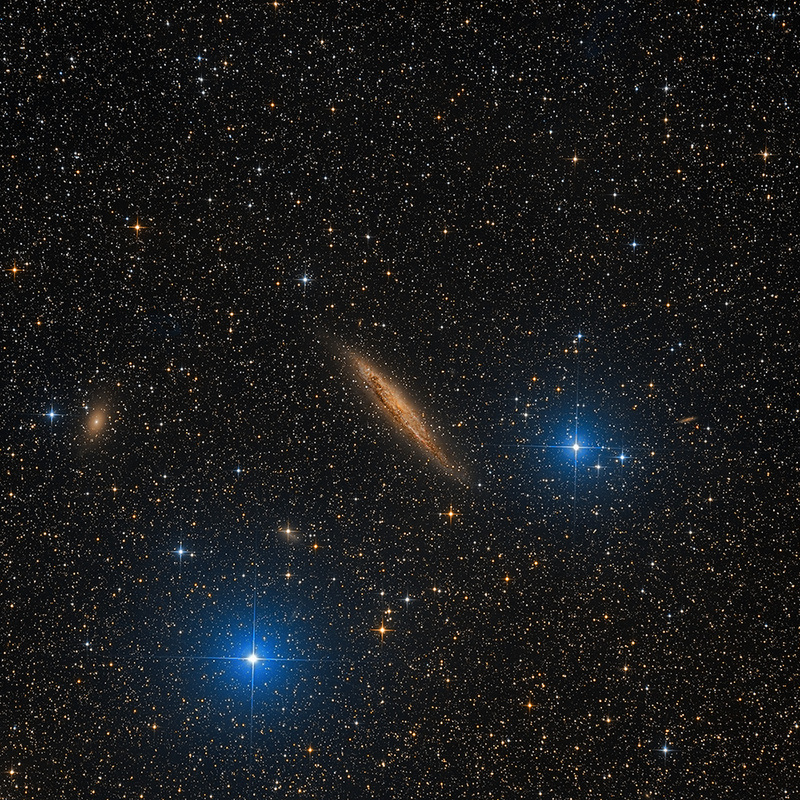 NGC 4945 belongs to the Centaurus group of galaxies.